In our previous post, we compared a conventional 3D BIM workflow to the historical 2D drafting-centric method of architectural design. In this edition, we’ll explain how and why the Bricsys approach to Building Information Modeling is unique. Unlike conventional 3D BIM, with stop/start workflows – BricsCAD BIM enables full, CAD-accurate 3D modeling from the very start. We offer simple and accurate modeling tools that carry your 3D massing and study models directly into BIM. Better yet, it all happens – end-to-end – in industry-standard DWG 2018. Next, BricsCAD BIM’s workflow leverages machine intelligence features to classify your study model. These tools also assist you in adding design information. Then, the process of drawing sheet creation is accelerated with automatic BIM sections, and finishes up in the world’s best 2D drafting system. The best part? All of this happens inside a familiar user interface. Yes, your first step to 3D BIM really can be a small step to begin. When you start with BricsCAD BIM, you will leverage BricsCAD Platinum as the platform for our BIM workflow. Hey, we would never ask you to work without a net. When you use BricsCAD BIM, the best 2D drawing creation tools are always available. So that you can work at your own pace, on your own time. With Bricsys, the move to BIM is on your schedule. Let’s get started! Our workflow starts here, in 100% free-form 3D with our simple, no-cost solid modeler – BricsCAD Shape. Shape is derived from full-on BricsCAD BIM. It was designed to maximize your freedom to shape your design, in a simple user interface, with full CAD accuracy. All inside industry-standard .dwg. Start exploring your design ideas on building form, envelope, interior and environs. Enrich your design story by adding doors, windows, materials and other elements via drag and drop. 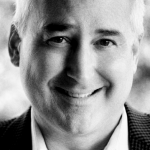 Remove them, replace them, or move them around freely. It’s a great way to explore design variations in a very dynamic way. You can use Shape as a presentation tool, too. Render your designs interactively. So much of what you do represents your style and your intent. We made Shape to capture that intent early, with none of the limitations of other sketching tools. When you start with Shape, you can be assured that your work will carry forward – 100% – to the detail design phase. Try Shape today, always free of charge. 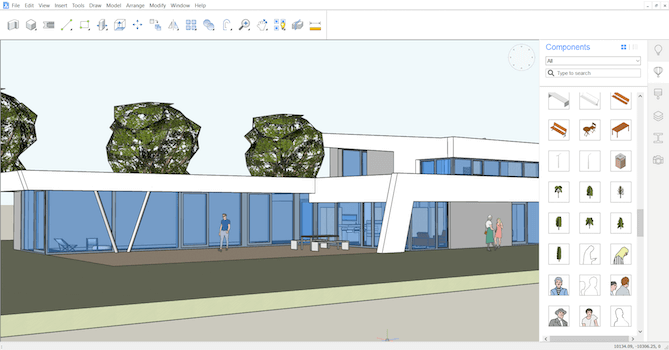 Today, many firms start their designs in tools like SketchUp. The approved design then gets re-built / remodeled from scratch in a BIM product. Only then can detail design development begin. When you start your design in BricsCAD Shape, you are modeling in a simplified version of BricsCAD BIM. Your design models, stored in .dwg, load directly into BricsCAD BIM and are ready for classification. 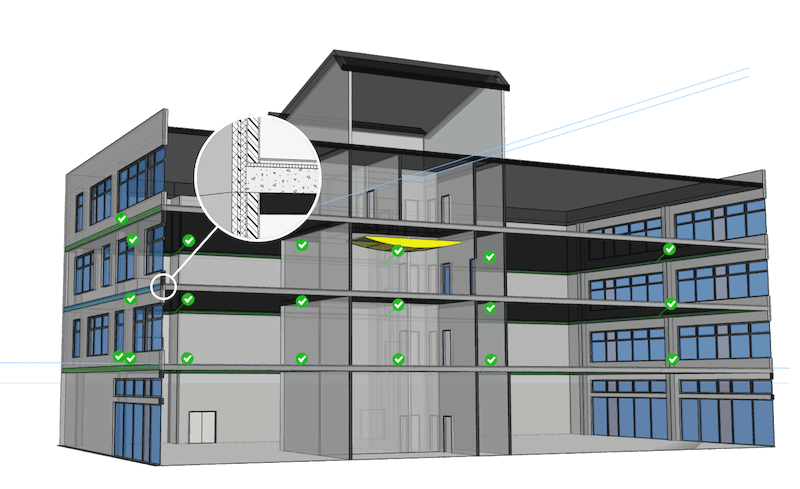 When you BIMify your Shape model, BricsCAD BIM will classify all building elements with proper spatial locations, in seconds. Automatically. 100% re-use of your 3D design model in BIM. Look mom, no hands! Just open the .dwg file created in Shape in BricsCAD BIM, and run BIMify. But BIMify is just the beginning of the use of machine intelligence in our 3D BIM workflow. BIM Suggest allows you to adjust the plies at a composition joint one time and re-apply it elsewhere in your model. 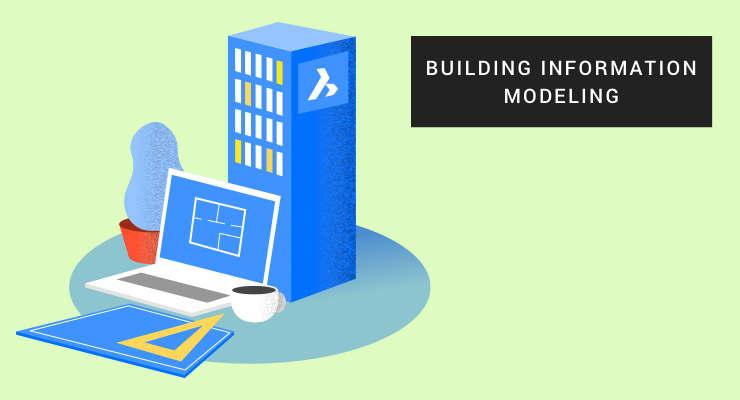 Using machine intelligence, BricsCAD BIM finds every instance of that connection in your BIM and allows you to selectively propagate that juncture across your model. When your main design deliverable for the client is the drawing set, accurate design documentation is Job One. As a result, in 2D you create, layout, detail and edit each sheet in the set individually. A proper 3D BIM workflow facilitates highly integrated documentation. When you make changes to the BIM, those changes ripple through the sheet sets automatically. There’s no need to determine which drawing sheets need to be updated. You don’t have to perform the updates, sheet by sheet. With BricsCAD BIM, you just change the 3D model. Also, all documentation synchronizes on command, or on demand. Finally, to ensure drawing sheet accuracy and consistency, sheets with changes will be highlighted for your detailed review. This level of automation delivers a dramatic reduction in documentation errors. And as a pleasant by-product, the need for change orders can be greatly reduced. Here’s a scenario: the client sits in on your design sessions, and interactively makes decisions with you. You both agree on the design, and your team works to develop the BIM and create documentation. Finally, the 2D construction docs you deliver are accurate, because they are in synch with one source of truth – the 3D BIM. In this type of design environment, all parties are free to experiment. This freedom is like a breath of fresh air. If you work together with your client, because your workflow allows it, just think: there is no need to change what is right from the start. Imagine BIM-ready modeling from the concept stage, with no design effort lost, ever. Next, we deliver multi-user access using proven workflows. You should know that BricsCAD BIM is certified to BuildingSmart International’s IFC2x3 Coordination View 2.0, to ensure accurate model sharing between architecture, structural engineering and building mechanical disciplines. Another unique feature of our approach is the ability to design and detail fabricated building component, all in one CAD product. And with BricsCAD BIM, you’ll have access to the best 2D drafting tools available, with automated layouts and updates. A full set of online video tutorials to get you started, too. And yes, an honest price and licensing that works for your business.